Blog > Cannabis Education > Health & Wellness > Cannabis & Pregnancy: Is It Harmful to Your Unborn Child? 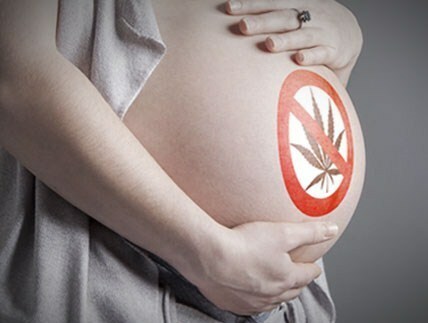 Cannabis & Pregnancy: Is It Harmful to Your Unborn Child? Cannabis has been used medicinally throughout history for all different kinds of maladies, including many women’s health conditions. However, modern times discourages prenatal cannabis use; in certain states, parents may even lose custody of their kids. 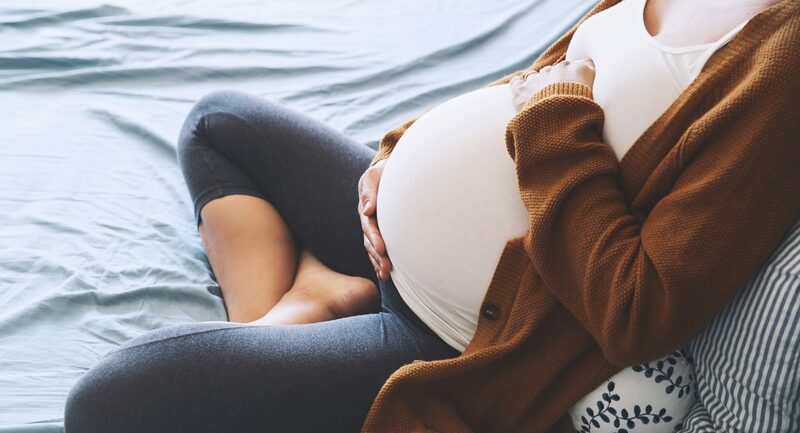 Regardless of decades of warnings that it could have harmful effects on the fetus, some women are now turning to the plant to help with morning sickness, back pain, and other pregnancy symptoms. Thanks to researchers, more studies are helping to understand cannabis’ potential effects on unborn children. What have they found and how is the data affecting public opinion about cannabis and pregnancy? 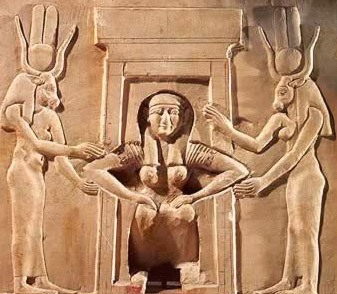 Ancient Egyptians used cannabis suppositories to relieve childbirth and made a paste made of cannabis leaves to put on sore breasts for women. During the late 18th and 19th centuries, doctors declared a drink combining milk, sugar, and marijuana to be an effective treatment for gonorrhea. Queen Victoria of England regularly consumed hash candies to help treat her PMS. In 1851, the Monthly Journal of Medical Science of Edinburgh claimed cannabis had a “remarkable power of increasing the force of uterine contraction during labour.” Like the Egyptians, 19th century Austrian and German women used a paste made of marijuana and animal fat to place on their swollen or painful breasts after childbirth. “Katie” (changed name) is a 29-year-old mother of a toddler living in Washington state, where both medical and recreational marijuana use are legal. She occasionally smoked cannabis during her pregnancy to find relief from back pain and nausea. “I only used it a few a times but I think it helped. I would have bad lower back and extreme morning sickness. Sometimes at night I would feel waves of sickness and it would help take it away.” She adds that friends who’d used cannabis during their pregnancies didn’t see any negative results in their kids, which made her feel more comfortable trying it herself. She’s not alone in exploring cannabis use during pregnancy. In a recent federal survey, almost 4% of mothers-to-be said they’d used marijuana (in the past month) in 2014, compared with 2.4 % in 2002. In contrast, roughly 9% of pregnant women ages 18 to 44 acknowledged using alcohol in the previous month. While 4% is still a very small number, it represents a potential shift in women’s attitudes toward cannabis during pregnancy. As more states legalize marijuana, numbers could potentially climb. But a few observational studies offered a bit of insight into any negative outcomes that could occur. Observational studies show two main potential risks associated with prenatal cannabis consumption: lower birthweight and lower gestational age. The average newborn’s weight is around 7.5 pounds and the typical gestational age (how long the fetus has been in utero) is between 38 and 42 weeks. Yet study results have been a bit contradictory. 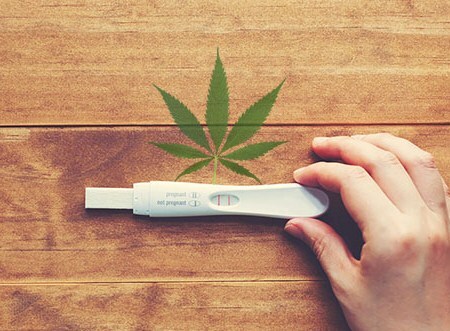 One 2012 study published in Pediatric Research suggested that there is, in fact, a very small correlation between marijuana use during pregnancy and potential preterm birth. In spite of this analysis, a 1992 study published in General Obstetrics and Gynecology didn’t find a direct correlation between prenatal marijuana consumption and negative birth outcomes. It did find that women who used tobacco while pregnant had a 15% higher chance of preterm birth. There’s been some evidence linking prenatal cannabis use and behavior issues throughout childhood and adolescence. The University of Pittsburgh conducted a study published in Neurotoxicology and Teratology found that 6-year-olds born to mothers who smoked one joint or more daily in the first trimester showed a decreased ability to understand concepts in listening and reading. By age 10, children exposed to THC in utero were more impulsive than others and less able to focus. As with the studies mentioned above, there’s conflicting evidence on the long-term effects of cannabis and pregnancy. A 1980s longitudinal study of Jamaican women tracked children from birth to age five, some of whom had been exposed to cannabis in utero. At five, the children took a range of tests, including the McCarthy Test of Children’s Abilities. Researchers found no evidence that cannabis use during pregnancy affected children’s academic performance. Although there was no firm reason why these results differed, it may be attributed to Jamaican cannabis’ lower THC content; the concentration available in the U.S. at the time was higher. Despite the lack of concrete evidence regarding using cannabis while pregnant, it’s still important to consider all factors and information. Women have been using the plant medicinally for a millennia, but that doesn’t necessarily mean it’s completely safe. More conclusive, peer-reviewed research (like eating vs. smoking cannabis while pregnant) is necessary before making a final judgement call. Elizabeth Nash, a policy analyst at the Guttmacher Institute, believes that being open and honest with physicians regarding cannabis use while pregnant.